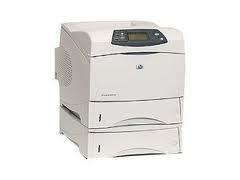 Q5409A HP Laserjet 4350Dtn Printer - Refurbished with 3 months Return To Base Warranty & Working Consumables. 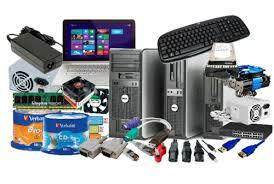 The HP Laserjet 4350Dtn Printer is as good as buying new as all worn parts are replaced. This saves you up to 50% off the price of a brand new printer. We are confident that you will be 100% satisfied with your HP Laserjet 4350Dtn Printer and are here to help with any support questions you may have. The Manufacturers part number/product code for this item is: Q5409A. Boost a large workgroup’s productivity with the HP LaserJet 4350 Printer series. Enjoy breakthrough print speeds of up to 52 ppm, a first page out in under 8 seconds plus advanced performance features like a 460 MHz processor, expandable memory, industry-leading internal networking* and HP Smart Printing Technology** in HP printing supplies. Easy to use and manage with an Embedded Web Server and Web Jetadmin and a choice of paper handling and finishing options to meet document creation needs. Control panel Intuitive operation and easy to understand messaging, expanded control panel for context-based problem resolution, 4 x 20 graphical display with help features. Messages can be displayed in 20 languages. Service & support 1 year on-site warranty. Optional HP Care Pack services available.